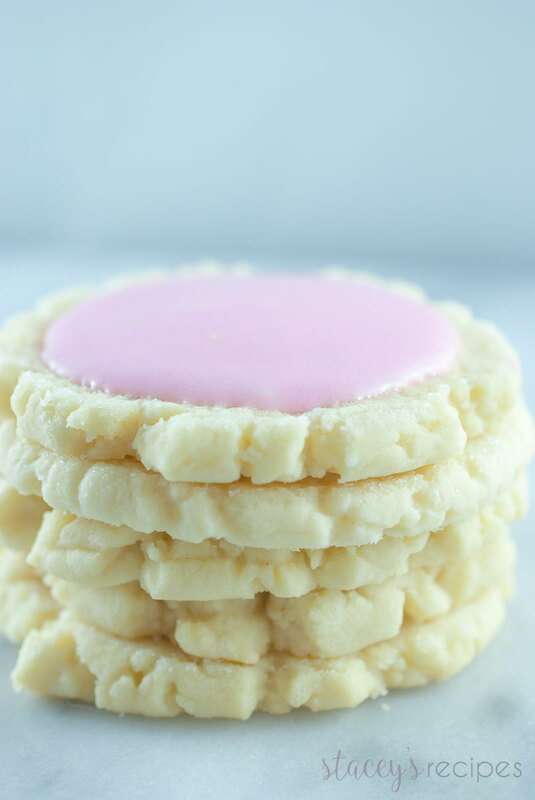 The perfect combination of a sugar cookie and shortbread, smothered with a sour cream frosting. This will become a new household favorite! Hi! Its been almost 5 months since I’ve posted anything! Now, if you’ve been following me on Instagram you’ll know a little about whats been going on in the Usborne-Campbell house! If you don’t follow me on Instagram, you should! You’ll get to see all sorts of photos from baking to everyday life here in Victoria. Anyways, LOTS has changed in the last few months and will continue to change – eek! I hate change.. doesn’t everyone?! 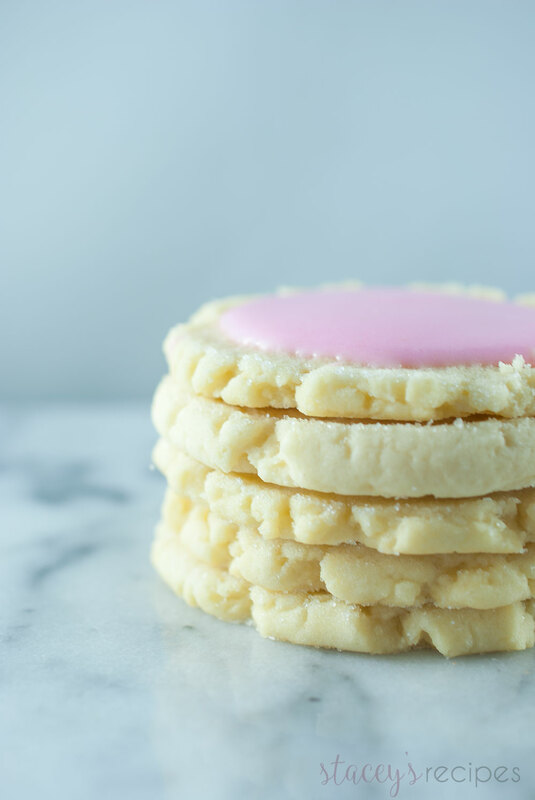 I’ll give you a brief update before I tell you about my new favorite sugar cookies. Tom and I are expecting our first babe in February! Which is pretty exciting and scary all at the same time! That’s been part of the reason I haven’t gotten around to posting anything in a while – especially at the beginning. Nothing smelt good. Nothing. It was awful and all I wanted to eat was Shake n’ Bake!? I don’t think I’ll every want to eat it again. We found out in October that we’re having a little girl and couldn’t be more excited! Alright, now that I’ve shared my big news let me tell you about these amazing cookies. Seriously you will not be able to stop eating them. I mean I did eat a good handful – for testing purposes obviously. Part of the reason these cookies are so great is that 1. You don’t have to chill the dough! That in itself is pretty great – I hate waiting around for the dough to chill. When I want cookies I want to eat them now. 2. You don’t have to roll out the dough. Another plus – none of this making sure the dough isn’t too thick, not too thin, re-rolling the dough. Easy peasy. 3. 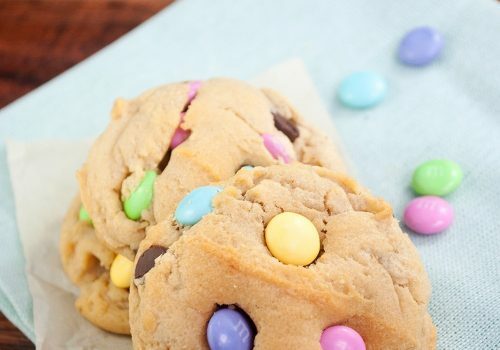 You use the bottom of a cup as your cookie press, something you will always have around. I found this recipe over at Vintage Revivals. 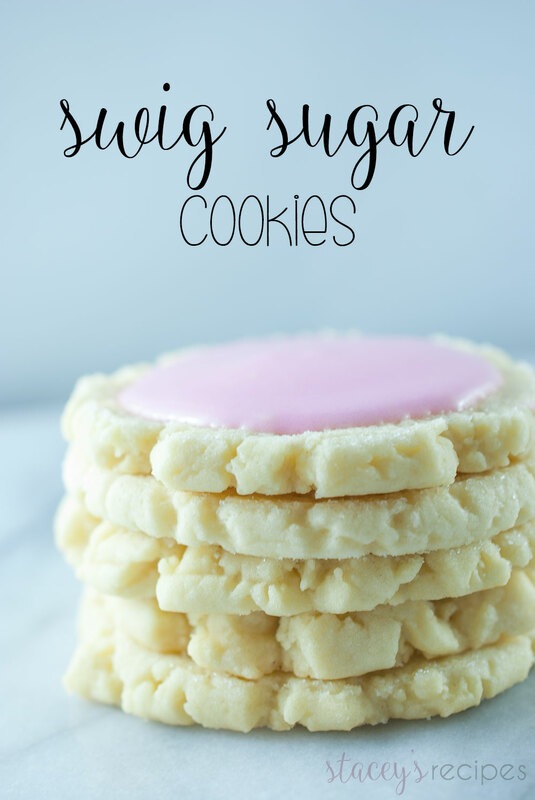 I’ve been seeing these Swig Sugar Cookies floating around Pinterest and Instagram for what feels like forever. I knew that I had to find a recipe for them and when I came across the ones at Vintage Revivals I knew I had to give them a go. And I’m so glad I did. They are seriously soo good. Now from what I understand ‘Swig’ is a bakery in Utah. Now I haven’t personally tried their cookies as I don’t live anywhere near there, but if you live near one you should probably go and tell me how great it is. Look at those crackly edges. Pressing your cup in sugar before pressing will help give you that slightly crunchy edges, while the center remains soft. 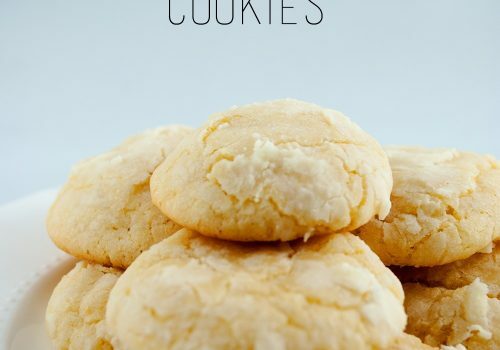 These cookies are buttery, soft, and slightly flaky. 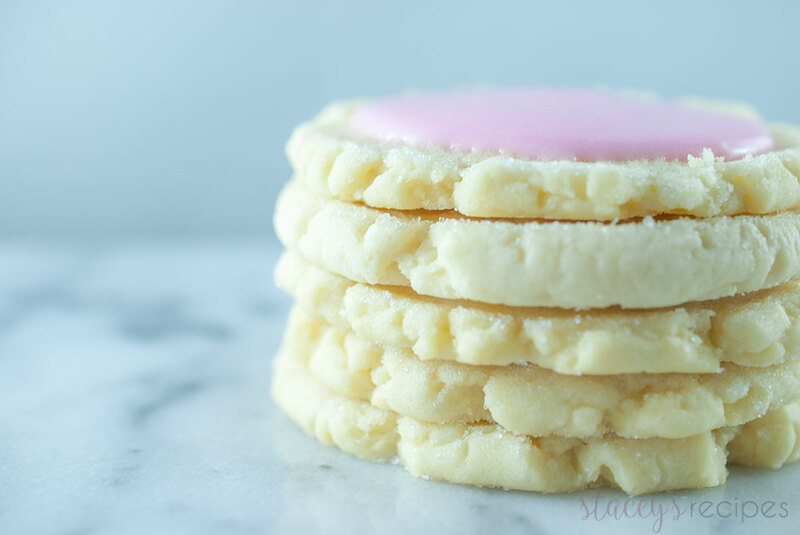 They remind me of a sugar cookie short bread combination. Not too sweet, but sweet enough to get you sugar fix. Now I was a little skeptical about the sour cream frosting.. but it makes these cookies. 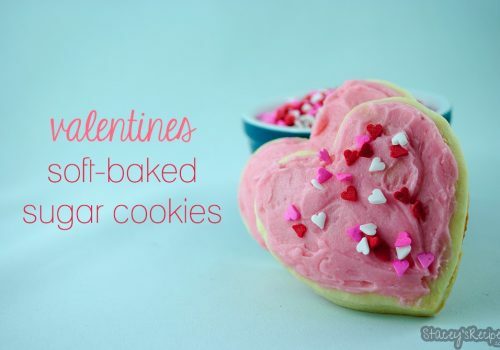 It doesn’t over power the cookies like a buttercream would. It has a slightly runny texture so it’ll set perfectly after you ice them. I hope you all enjoy these cookies as much as I do! Head over to Vintage Revivals for the recipe!